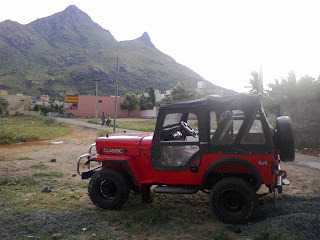 I was visiting my home town(Tiruvannamalai) last week and here are some pics., see the hill in the background which is the holy hill for Hindus and considered as Lord Siva. I took in the highway which goes through the rural India. 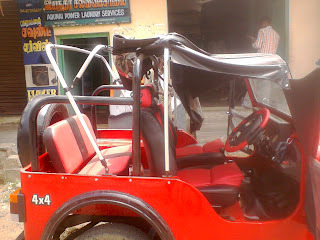 This trip back to my hometown also helped me filling the steering wheel with the jeep theme color. 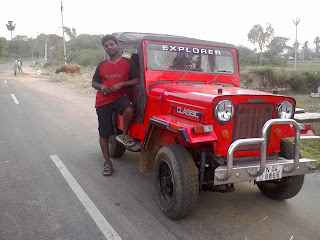 This is how a jeeper feels in Mahindra Classic at highways, play and enjoy the video here.